This one sentence says everything. If it could be said ‘you make money, but do not let money make you’, one should always be kind to life and to god for whatever they have and should never contemplate for money. Wisdom Times always believes, ’When one wants to live a purposeful life, money would be the last thing they would want for in their life. 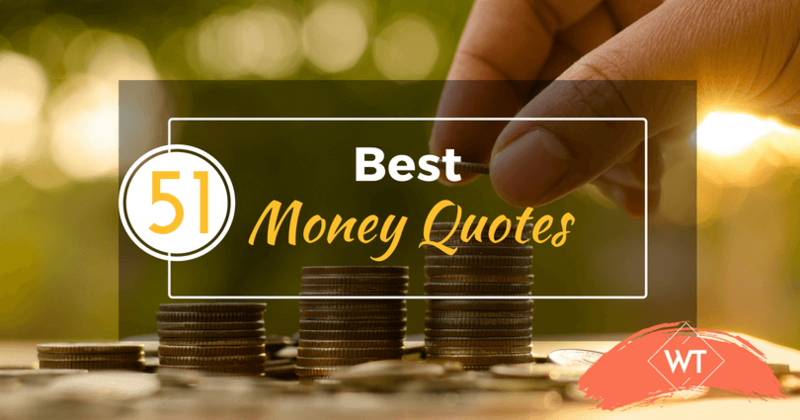 We hope these ’51 best money quotes’ have motivated you to make and save money. Now that you are making enough money, savings would have been your top priority in such a scenario. So if it’s the savings that is bothering you for not being able to save anything by the end of the month don’t worry, we’ve got it for you. Please go through our article 20 Awesome Ways To Save Money for some very effective ideas on how to save more responsibly and lead a richer living.